Luxury mobile phone manufacturer Mobiado has created a new version of the Professional 3 GCB phone inspired by the art of a Bronze Age culture. 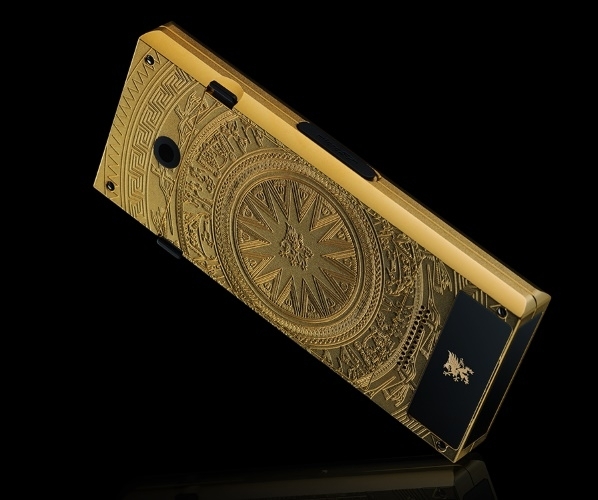 Canadian luxury mobile phone manufacturer, Mobiado has released a new model inspired by the art of the Dong Son people, who belonged to a Bronze Age culture that flourished in Vietnam from 700-500 BC until the first century AD. These people excelled in metalwork and among their finest products were the Dong Son drums, which were cast in bronze and beautified with geometric designs, scenes of daily life, wars, animals and birds. The images shared a dynamic view of the Dong Son society and now Mobiado has recreated this art on the Professional 3 GCB phone. 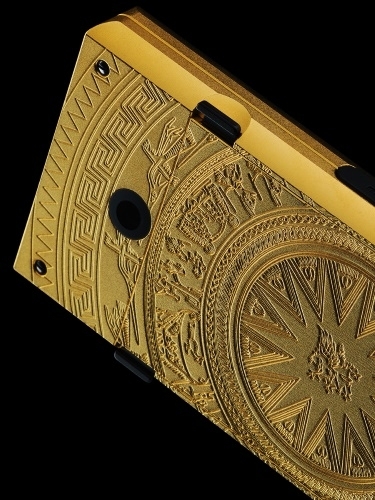 The Dong Son phone is created by CNC machining the bass frame of the Professional 3 GCB and precision engraving it with a Dong Son drum decorative image. Similar to the drums, the Dong Son phone also features man and animal scenes blended with geometric designs. The final artwork is manufactured by glass-bead blasting the frame and plating it with 24 carat gold. 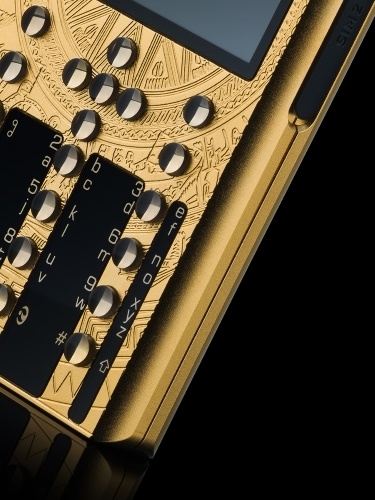 The Dong Son phone is fitted with large sapphire crystal plates, which are precision inset into the gold body. 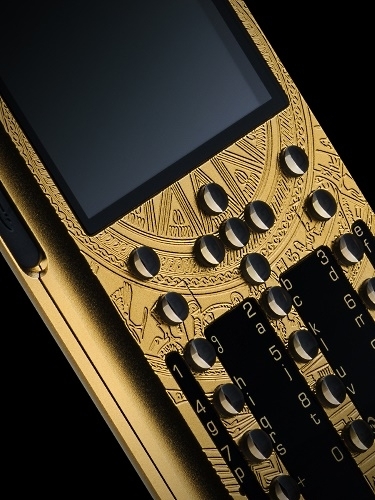 Gold painted sapphire buttons and gold plated screws complete the look of the phone. The Professional 3 GCB Dong Son is unlocked and will work with any GSM network operator globally. The phone is dual SIM quad-band GSM (GSM 850/900/1800/1900) and has dual band 3G coverage WCDMA (on main SIM only). It has a 2.4” QVGA display, expandable microSD memory, camera and video camera, web browser, Bluetooth 3.0, email support, and a music player. Professional 3 GCB Guilloché attached to the m|CUBE. The phone comes with the Mobiado m|CUBE, which is the fancy new charger stand provided by the company for its Professional 3, Grand Touch, and Grand Touch Executive lines. 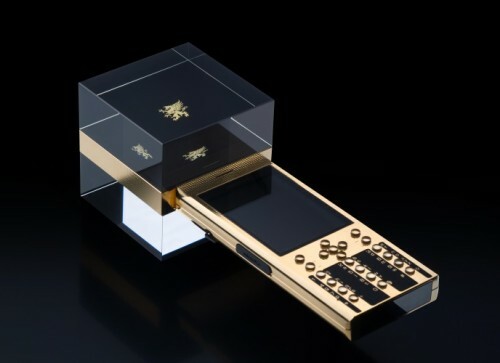 The glass cube charger has a metallic centre and is available in Black, Black Satin, Silver, Gold Guilloche, and Gold Matte. The Dong Son edition of the Professional 3 GCB is limited to only 100 phones. For more information on the phone, click here. Tagged Art, Big Boys' Toys, Gadgets, LifeSpice, Luxurious lifestyles, Luxury Phone. Bookmark the permalink.